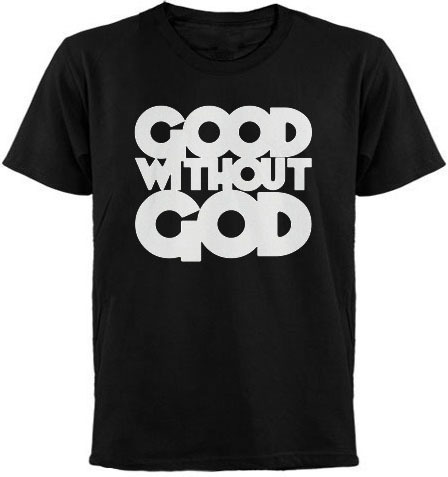 'Good Without God' T-Shirt. . Wallpaper and background images in the Atheism club tagged: atheism atheist funny tshirt good without god. This Atheism photo contains jersey, t shirt, and tee shirt. There might also be polo shirt and sport shirt. ^That is probably because we post atheistic images on Christianity spot.